@jaredsinclair Looks like Tumblr deleted your blog. Any hope for reviving it? I thought perhaps I’d missed a warning from Tumblr, but I had no recollection of receiving anything. I double and triple checked all my email accounts. Nada. There wasn’t anything from Tumblr since one day in March when I used a magic link to sign into my account rather than username and password. Nothing archived, nothing in spam. Without warning Tumblr had terminated my account for no discernable reason. I tried logging in from a desktop browser to be sure there wasn’t some mobile-rendering goof. Same thing. Your account has been terminated in classic Tumblr chunky white. All photos and videos are backed up to my iCloud Photo Library. This entire library is synced to the family computer. The family computer is synced to Backblaze. Google Photos adds a redundant backup of everything, as well, using the iOS app. There’s also a good chunk of our most important photos and videos in the Dropbox accounts of my family members. Last but not least, we print a book of photos every year so there’s a hard copy that’ll survive once I die and there’s no one else in the family willing to be as paranoid as I am. Every paper document that comes through our house that has even a scant chance of being useful later gets digitized with Scanner Pro and Dropbox-ed. Scanner Pro has a cool feature where you can have every scan automatically synced to a predetermined Dropbox folder. At the start of each year, I update this to point to an Inbox 20-- folder for that year. If I need to move something out of there to a more appropriate folder, I do, but otherwise I just let things accumulate. The perfect is the enemy of the good and all that. Both my and my wife’s Dropbox accounts are fully synced to the family computer, and thus also to Backblaze along with the rest of the stuff on it. Github: use it! I use it religiously, even for the small stuff, like the secret Gist I use to track my .bash_profile. I enable branch protections on everything, too, just in case. An external hard drive or two, however outdated, are kept in our safe deposit box. So even if Apple, Dropbox, Google, GitHub, and everyone else all decide to terminate my accounts in one day, hopefully there will still be something available on those old drives that I can salvage. Yet my blog was the one corner of my digital life where I had gotten lazy. I didn’t have a backup of my posts anywhere, only scattered draft versions in a Dropbox folder. The canonical versions of all my blog posts were whatever Tumblr had saved for my account. The Tumblr versions had lots of small edits and corrections that weren’t saved anywhere, even if there was a draft copy in Dropbox. 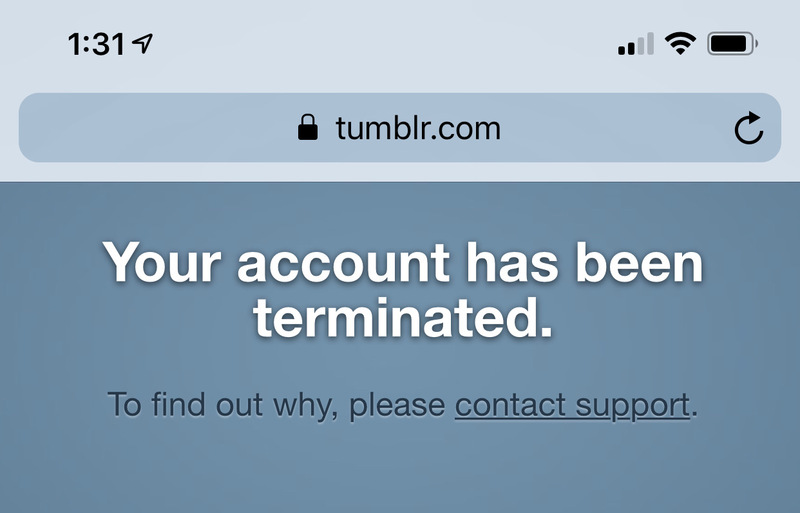 Now suddenly, everything that Tumblr had was gone. I used the spartan contact form to ask Tumblr why my account was terminated. But rather than wait for a response that might never come, I decided it was past time to bring my blogging setup in line with the rest of my backup paranoia. I decided to move everything over to Jekyll, backed by a comprehensive GitHub repository. I’ve had a Media Temple account for years and have been really happy with them. I knew once I figured out how to actually use Jekyll in a comfortable way, my Media Temple Grid Service would be able to host the static files easily. Why Jekyll? The short answer is that it’s used by GitHub Pages. In a sea of alternatives, I’m content to follow the smart folks at GitHub wherever they go. If you’re reasonably comfortable with basic web programming, and know enough about the shell to get yourself in trouble, using Jekyll isn’t so bad. I got a proof-of-concept site up and running pretty quickly. Since Media Temple is also the domain registrar for jaredsinclair.com, it was easy to replace the Tumblr CNAME record for blog.jaredsinclair.com with an A record pointing to the same IP address as jaredsinclair.com (this was a necessary part of ensuring that old blog post links resolved to their new Jekyll permalink). Within hours, anyone that wanted to visit this blog was able to see something here. The real problem was recovering all my old posts. Felix Lapalme recommended a command-line tool that downloads an entire site’s content from the Internet Wayback Machine. Before anything else could go wrong, I immediately ran that tool, which worked as advertised (isn’t it great when things work like they say on the tin?). This archive was missing a lot of posts, particularly my more recent stuff, but something was better than nothing. I was pretty worn out from getting Jekyll set up so I went to bed, putting off figuring out how to transform this backup into something formatted for Jekyll. I saw on Twitter about Tumblr closing your account. That sounds lame! Feedbin has posts from your blog going back to 2012. 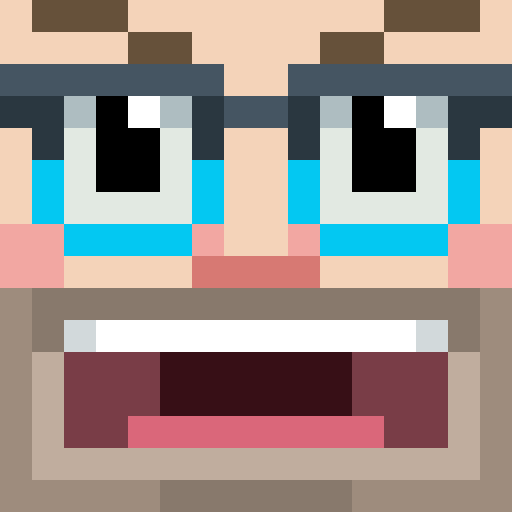 I’ve attached all 234 of them as JSON. Thanks to Ben, I now had everything I needed. Unlike the Internet Archive backup, in which each post would need to be heavily transformed to unsleeve the post content from all the page chrome that got captured with each crawl, the RSS backup was already free of such chrome. Better still, the JSON data structure would make it possible to automate the capture of the critical metadata for each page, namely the title and published date. Using the Swift Package Manager, I made a quick n’ dirty utility that transforms a JSON-encoded file of Feedbin posts into a directory of HTML files formatted for Jekyll. After running this utility, all I had to do to republish all my old content (in correct chronological order, too) was to copy those HTML files into the _posts directory in my Jekyll project, run jekyll build, and upload them to the right directory on my Media Temple server. I don’t know if I’ll do it this way forever (there might be a better way that Jekyll supports), but this was effective and took only a few minutes. For all the posts that I haven’t redirected, I’ve updated the 404 with a blurb about what happened to my blog this weekend, with a link to my archive page. To make day-to-day life easier going forward, I added a script to my Jekyll project that uses rsync to upload the _sites directory to my Media Temple server, authenticated with ssh. From the root directory of my Jekyll repo, I can just run publish.sh to rebuild and upload everything. I’m continually impressed by how efficient rsync is. Small changes to the site, like correcting a typo in some markup, are published in seconds. Thank you for bringing this problem to our attention. We’re sorry that it occurred, and we’ll do our best to make sure that it doesn’t happen again. You should now be able to log in just fine with your email address and password. Please let me know if there’s anything else I can help you with! Too little, too late, Drew. I hope Tumblr understands that I simply cannot trust them anymore. I’m grateful that they responded to my contact request and that my account has been reopened, but it’s unacceptable that a years-old account still in good standing can be terminated without any advance warning or preventative recourse. This weekend’s debacle is a textbook case for why folks should own their own data. It’s also a good reminder that no single service provider can be wholly trusted. If something isn’t backed up in more than one place, it’s not backed up at all.